My sister is coming to town this weekend. To look at houses. Because she is moving here. Whoop whoop! We weren’t particularly close that summer but we did manage to overcome our differences and eventually grew closer once I went to college. I have been trying to get her to move to Seattle for the past 10 years and now it’s finally going to happen. I’m so giddy I can hardly wait. It’s possible I may even start to dress like her again, as I loved to do when we were young. 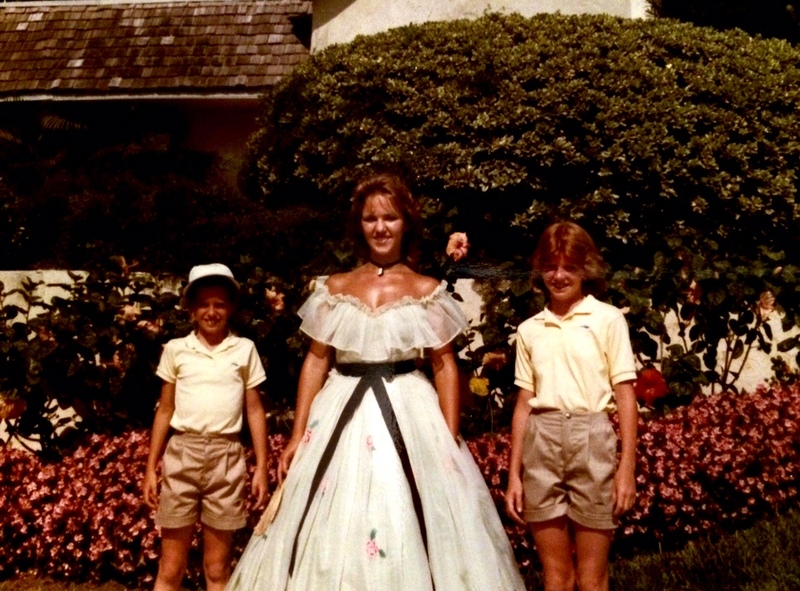 Here we are at Busch Gardens in the early 80’s with a very dewy woman in a fancy dress. I distinctly remember that when my sister would emerge wearing that outfit, I would go back to my room and change into my matching ensemble. I don’t understand why she found me so annoying. This entry was posted in Uncategorized and tagged family, sisters by BananaWheels. Bookmark the permalink. THAT IS SO AWESOME! I don’t have a sister, but I would love if my daughters live near each other some day and do all of the things on your list. NOW I WANT A SISTER. 1. I always wanted a sister. 2. I want to see pictures of the braids….